EITC Pre-K Scholarships provide opportunities for early childhood education. The Educational Improvement Tax Credit (EITC) program provides children and families with a choice in their education.  Scholarships for eligible students to attend approved Pre-Kindergarten programs schools are available from the Community Foundation of Greene County, an approved scholarship organization under the Pennsylvania EITC program. Please carefully read the Eligibility Requirements and Policies and Procedures below before downloading the PreK Scholarship Application Maximum Income Eligibility Guidelines effective April 30, 2018. See table below. A member of a household with an annual household income of not more than $78,036, plus an additional $15,608 is permitted each dependent child as defined by the IRS living within the same household. Provides a minimum of 2 hours of instructional and developmental activities per day at least 60 days per school year. Agrees to align its instructional and developmental activities so students are prepared to enter the school’s kindergarten when & if they choose. 1) The amount of scholarship paid for any individual student shall not exceed the actual stated tuition and fees charged by the school. Nor shall the EITC Scholarship paid exceed the tuition and fees applied to the student’s account, including any other scholarships or payments (including CCIS payments) made on behalf of the student. Tuition for scholarship students may not be more or less than that of non-scholarship students receiving comparable services. The school is responsible to provide CFGC with the eligible tuition amount for each student. 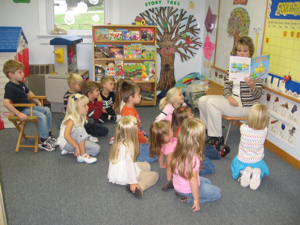 Eligible Pre-K programs may not exceed 6 hours/day, 5 days/week, September thru May. Children MUST be registered, enrolled, and/or attending the Pre-K program at the time application is submitted to CFGC. 2) The amount of the scholarship shall not cover child care services before or after the stated pre-kindergarten hours. 3) The scholarship will be paid directly to the school on behalf of the student. The family shall not receive any direct cash benefit from the scholarship. 4) Scholarships will be issued to the school after September 30, or January 31, and only following CFGC’s receipt of the signed Scholarship Accountability and Reimbursement Agreement Form from the Pre-K program. 5) The school must credit the scholarship to the student’s account on a pro-rated monthly basis. 6) The school and parent/guardian must notify CFGC immediately if a student withdraws or is removed from the school, or otherwise becomes ineligible for an EITC scholarship. 7) Scholarship funds for students who withdraw or are removed from the school, or become ineligible for the scholarship prior to the end of the school year must be refunded to The Community Foundation of Greene County by the school within 30 days following the date of withdrawal, removal or determination of ineligibility of the student(s). The scholarship reimbursement shall be pro-rated based on the amount of time remaining for the school term. 8) Acceptance of this scholarship does not exempt the family or student from abiding by the policies of the school and the school has the right to remove a child from the program at any time for failure to abide by their policies. 9) EITC Scholarship funds may not be used to hold a space open for a student who is not actively attending classes. Exceptions for extended illness or medical absences may be made by contacting CFGC as soon as it is determined that the extended absence is necessary. Proof of illness or medical excuse may be required for approval of the exception. 10) Selection for scholarship shall be determined without regard to race, gender, religion, or similar characteristics of the applicants. Scholarship amounts are based on a sliding income scale as determined by the CFGC Grantmaking Committee as well as upon the availability of funds and the number of eligible applicants. 11) All application information must be fully completed and submitted on time by the applicant in order for the application to be considered, including the Application Form and a copy of the most recent Federal Income Tax Return, and submitted according to the application deadline policy. 12) CFGC is not responsible for lost, missing, misdirected, or late applications or supplemental information. 13) All application information will be maintained by the Foundation in the strictest confidentiality, including income information. Download a copy of the PreK Scholarship Application and Policy You will need to download or open the form, print it out and fill it out by hand and mail it to CFGC (address is on the application form) or deliver it to our street address. Scholarships will be based on need. Scholarship award may not exceed actual amount of tuition charged by the program, nor the amount of tuition charged to non-scholarship students. To view the EITC Pre-K application form, you need to have Adobe Acrobat Reader installed on your computer. Get Adobe Acrobat Reader.